This template is best presented on a digital signage menu board placed at the entrance of the restaurant as well as indoors. Given the variety of cuisine offerings , the restaurant should engage with customers more actively to get a productive feedback . 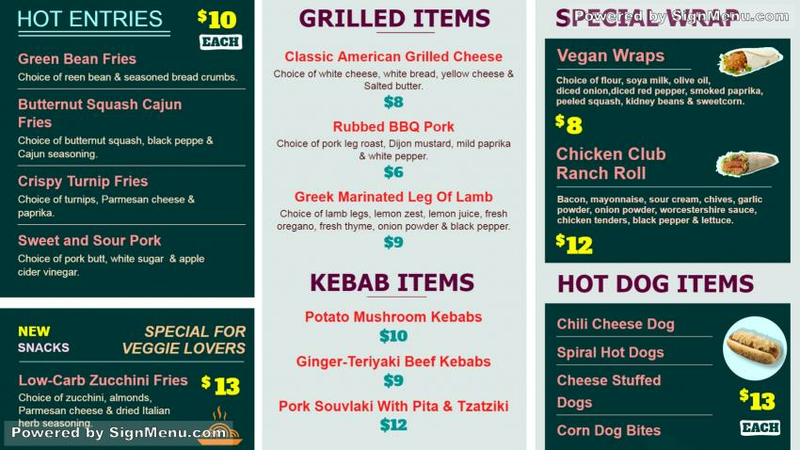 most ethnic restaurants today have adapted to digital signage in order to convey their marketing message effectively.this template is ready for download and use.